We live in a world of instant gratification. Everything we do or want should be done instantly. This attitude has translated into our consumer behaviour as well. Today we make property decisions at the click of a button. Properties are sold and bought at lightning speed. If you want to join this league of home sellers then this is the right place for you to be. This is a quick 5 step guide that will help you sell your house fast at a great price. the first step to this is preparation and planning. When you are planning to sell your house you need to be very clear about the price you want to sell your home at and the medium through which you will be doing it. You could run your house through an inspection and find out the faulty areas that use a repair. Get them fixed immediately to avoid any further delay. While you are at it, you also need to make your mind if you want to sell your house by yourself or through a real estate agent. If selling your house fast is your priority then you should try selling your house by yourself so that you know your priorities and your needs. Selling your house by yourself will help you focus and speed up the process. There are many websites built in order to speed up the process of people trying to sell their homes by themselves. The price of the house matters the most when you are about to sell it. One must always do a thorough research and then quote the property accordingly. Check with someone who recently sold a house in your neighbourhood. Understand his pricing strategy and follow the same or improvise on it. Also study the real estate market of your country and state. Sometimes the market could be on a low and thus high priced property won’t find any takers. The price of the house could actually act as a deal maker or a deal breaker. Choose wisely. The better you quote the sooner you sell. If you are looking to sell your house fast, make it known to the world. Adopt the best marketing tools to get your house selling fast. You could use paid tools or free tools, this is left to your discretion. This is a paid for measure and requires a stipulated amount to be paid to action it out. Advertisements could be in any form be it online or offline. You could pay for pop up advertisements online on property websites. These would garner interest and reach many people on one click. Issuing pamphlets in the neighbourhood or in the local newspaper will also be able to gain a lot of traction but the reach will be very limited geographically. Word of mouth is considered as one of the fastest marketing tool. A good word of mouth can pull in many prospective buyers to your property. Going the traditional way, by putting a for sale board outside your property you will be able to grab the attention of by passers and if anyone who is looking to buy your property will be able to walk in for the same. This is by far on of the oldest and the most popularly used free marketing tool. in order to sell your house fast you have to wisely choose the medium to sell your house. You could sell your house either online or offline. Today, selling your house online is more of a preferred optionas it sells faster than other mediums. selling your house by yourself is a real time saving factor. When you choose to sell your house by yourself you are saving all the time spent in searching for the right real estate agent to do. Even if you are not selling your house through a real estate agent these online portals do not promise you any time period to close the deal. Real estate agents don’t usually prioritize their customer and keep them waiting for long. Apart from that they also expect you to give a high commissioned fee for the job. 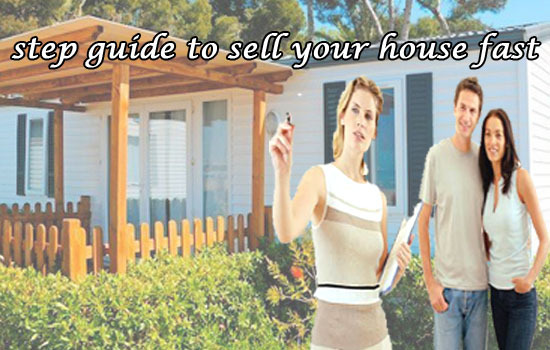 It is easier to sell your house by yourself with the help of partner like fastoffernow.com. Fastoffernow.com is the ideal home buyer that buys homes as it is and helps you close the deal within 30 days. We are the fastest home buyers across America and no one buys home as fast as we do. If you are looking to sell your house fast, make it known to the world. Adopt the best marketing tools to get your house selling fast.